Hello and Happy Sunday to you! 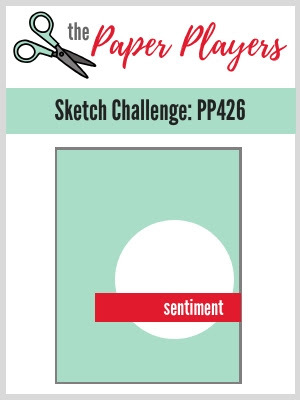 This week at The Paper Players, the lovely Jaydee has a sketch challenge for us this week. Yay! I always love a good sketch to get the creative mojo going. I started out with the idea to do a valentine card, but then when I started looking through my stamp sets, I stopped on Tropical Chic. 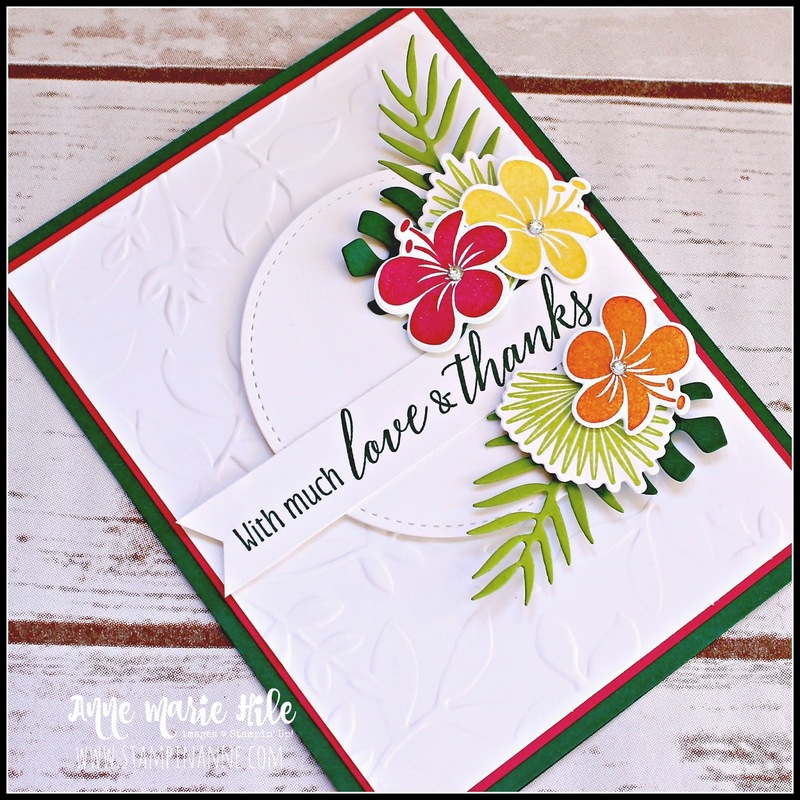 I thought it might be a nice break from the winter season to get some tropical vibes going. Although now I’m kind of ready for a vacation, aren’t you? Ha! I went back and forth about adding patterned paper to my card but opted to add a little texture with the Layered Leaves Dynamic Textured Impressions Embossing Folder instead. I felt like it made those bright and cheery flowers stand out a bit more. The stitched circle and the flowers are popped up on dimensionals as well for some added texture. 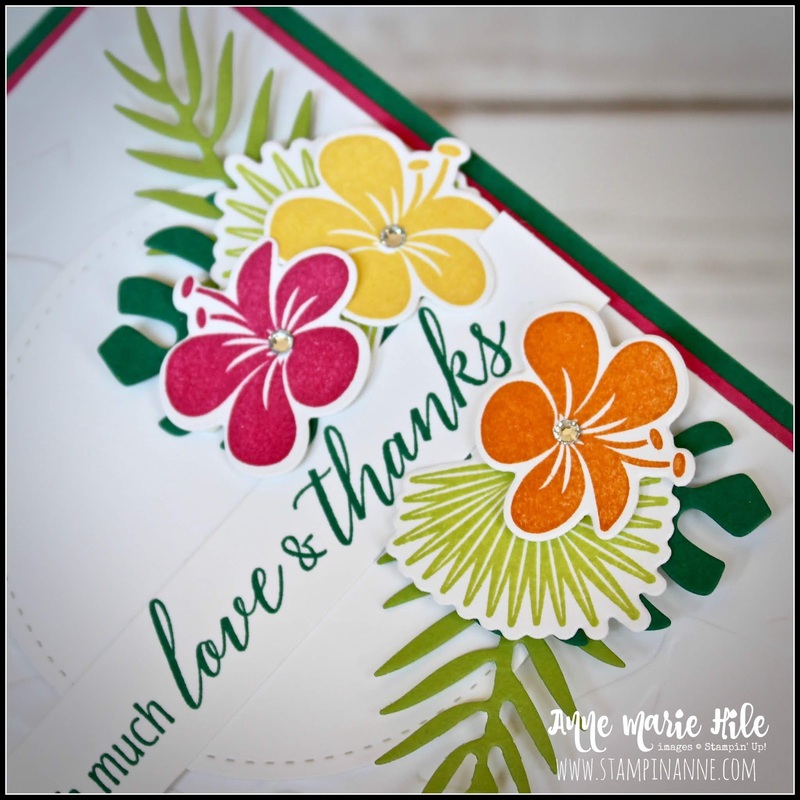 I finished the card of with a trio of rhinestones on the flowers…because I never miss an opportunity to use some bling. Whisper White Banner - 5/8” x 4"
On a quick side note, sorry that my post is a little late this week. For the past couple of days, I have been running to and from the vet with a sick kitty. Thankfully he is finally starting to feel a bit better, but I am in a perpetual state of playing “catch-up” right now. Thanks for being patient with me. 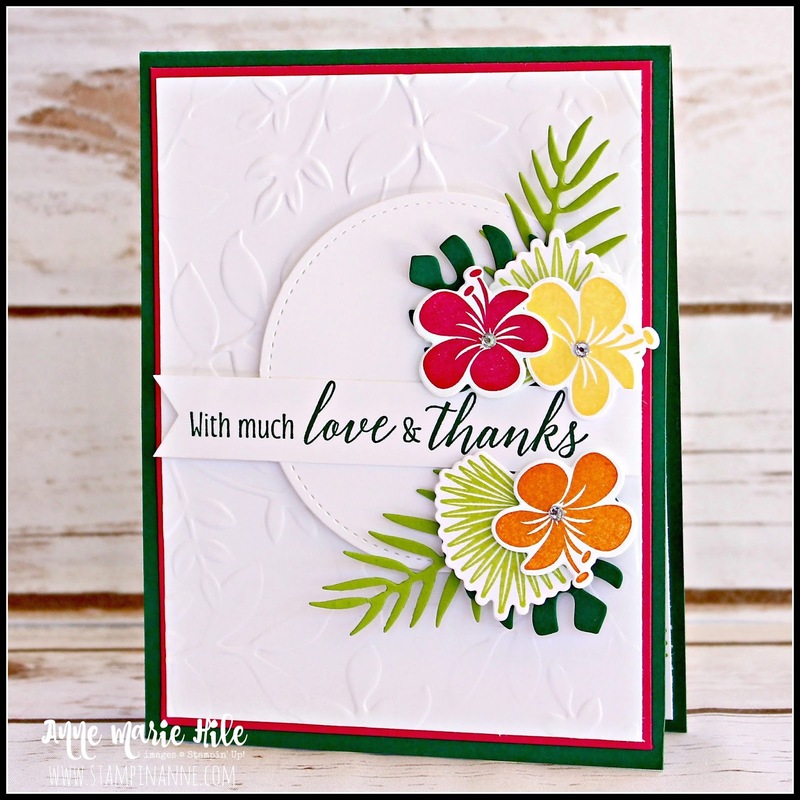 I hope you will join us this week over at The Paper Players and share a project using Jaydee’s fun sketch. You can link up your project through Noon PST on Friday February 1, 2019. Can you believe it’s already almost February? Whoa!